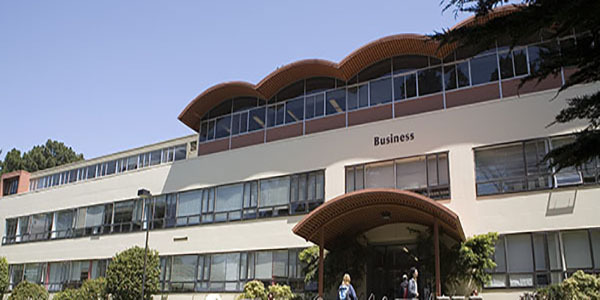 The Business Enterprise and Engagement Center will provide business students with career development resources, internship opportunities, faculty-led consulting engagements and student conferences to better prepare them for entry into the professional marketplace. 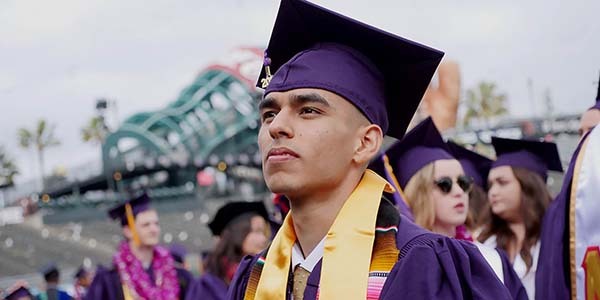 The majority of SF State students are first-generation. The Center will bridge networking connections and access to industry leaders that can facilitate a strong and seamless transition to the workforce after graduation. Business students enjoy the sun outside of the Business Building at SF State. A business professor lectures undergraduate students.